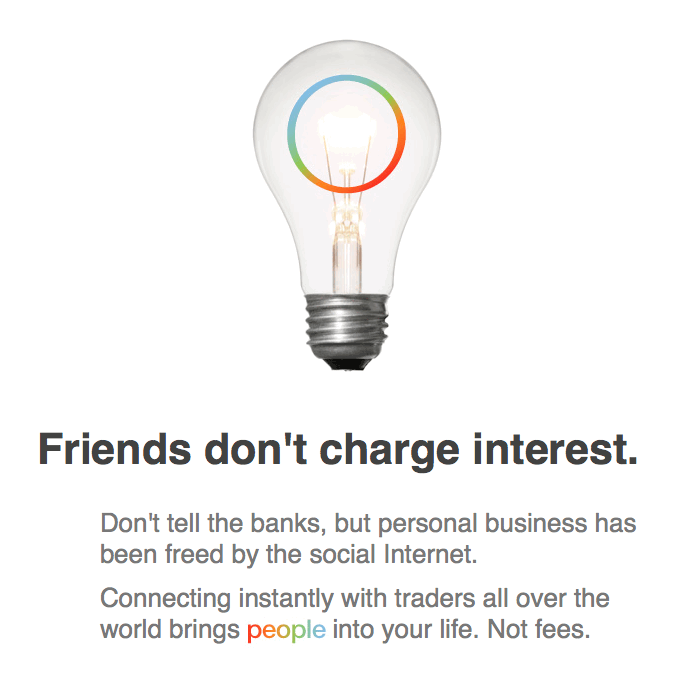 In 2008 we launched the world’s first socially powered barter system on Facebook. Swap hors d’oeuvre recipes for Krav Maga instruction, hand-loomed potholders for prepaid phone cards. Who knows? You may even make a new friend or two. No matter what, it’s a win-win situation. As spare cash becomes harder to come by for many families, bartering is an increasingly attractive alternative to putting expenses on credit cards. You might start with folks you know–friends, family and co-workers. I suspect in this economic climate, you’ll see ‘trading’ sites spike along with do-it-yourself resources. Have been in meetings with people discussing this concept for years. Think these guys may have nailed it. Hats off. The idea of bartering with strangers can be downright scary. Fortunately, online brokers are here to help. Check out who’s offering services and stuff–and jump in yourself–at TradeAFavor.com. Every recession triggers bartering but the Internet has given the practice unprecedented reach. TradeAFavor.com caters to the cost-conscious. As spare cash becomes harder to come by for many families, bartering is an increasingly attractive alternative to putting expenses on credit cards. You might start with friends, family and co-workers. Check out who’s offering services and stuff–and jump in yourself–at TradeAFavor.com. An idea that was ahead of its time before mobile apps and crowdfunding is about to crowdfund a mobile app. THE HUMAN RACE IS TOO BIG TO FAIL. 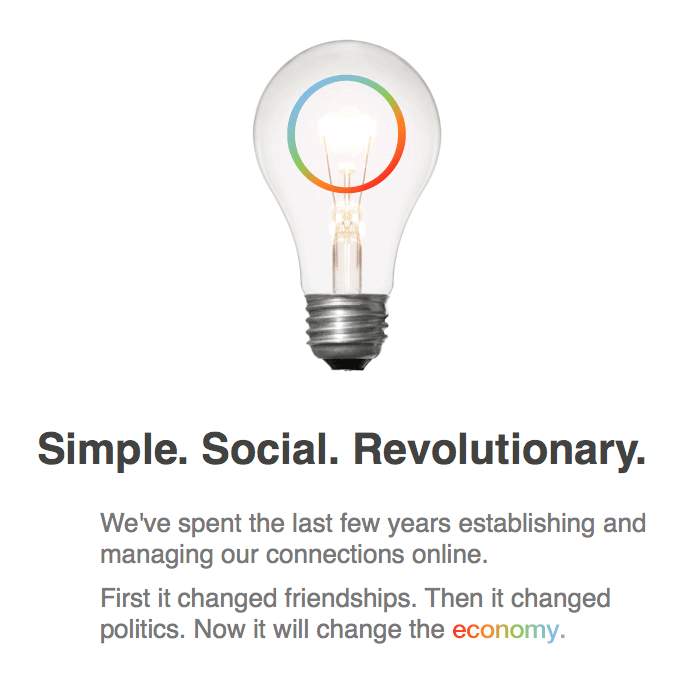 Welcome to the economic revolution. 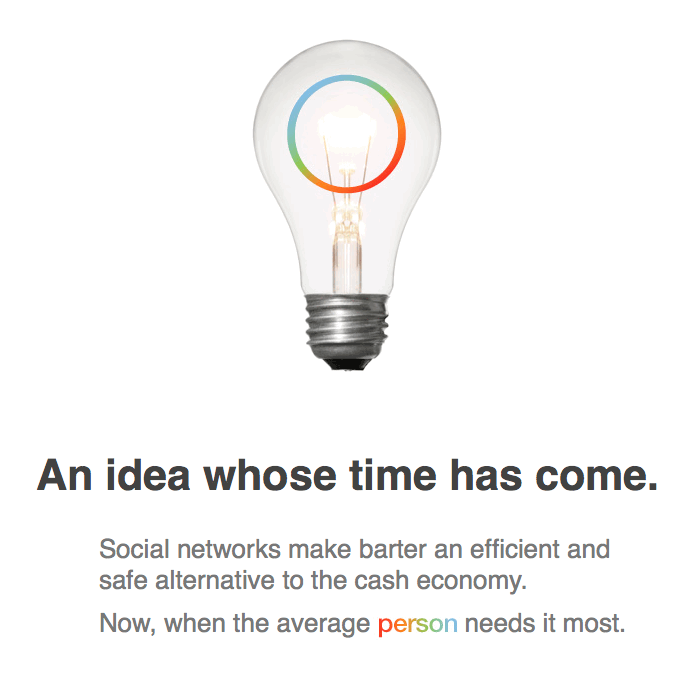 Trade A Favor is about to crowdfund a mobile app that you can help make too big to fail.